Amid the chaos of 2015's wars, terror attacks, insurgencies, Ebola crisis and other sadness, we need to take a moment out this holiday season to celebrate some of the good news. When he was born with Cerebral Palsy the witch doctor pronounced ChristNelson "not human" and told his mother he was "possessed by a demon." He was condemned to a truly inhuman life, lying naked on the side of the road each day while his mother went to the market. 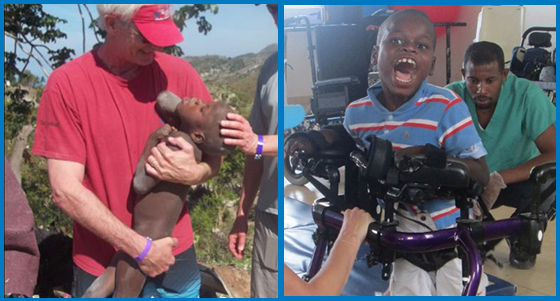 But World of Children Honoree Susie Krabacher does not give up on children like ChristNelson. 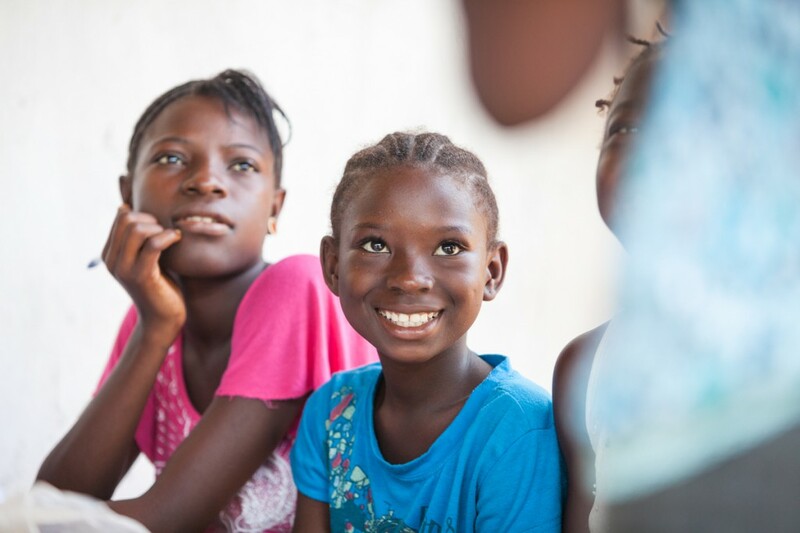 Thanks to Susie's intervention and the work of her organization, HaitiChildren, today ChristNelson has a life, goes to school and is a happy child. Susie has rescued and rehabilitated thousands of children like him. Earlier this year, Ebola was still raging through parts of Sierra Leone. Like so many children, Lucee and Olivette faced the fear of infection and death. As schools were shuttered and so many fled the country, Miriam Mason-Sesay stayed to help. Her organization, EducAid, kept the children enrolled in their schools safe and healthy, and ensured ongoing access to education through a Remote Learning Program of lessons delivered via podcast while schools were in a government mandated shutdown. Thanks to EducAid, students like Lucee and Olivette remained healthy and on track with their educations. Alexandr was born with a death sentence. Almost thirty years ago, his parents were exposed to toxic levels of radiation during the Chernobyl nuclear disaster. All these years later, that radiation exposure caused him to be born with a condition known as Chernobyl Heart. 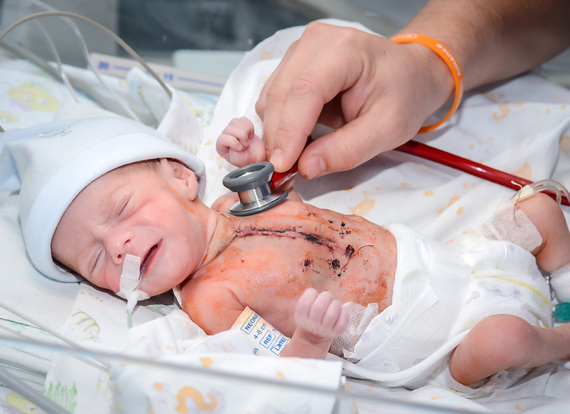 Without a life-saving operation, he was not expected to live past six months old. World of Children Honoree Adi Roche and a surgical team from Chernobyl Children International were able to reach Alexandr in time and with a newly repaired heart, he faces a long and bright future. CCI teams have performed similar operations to save over 4,000 children's lives over the past 20 years. Siblings Brian and Jeremy are just two of the over 1.6 million children who experienced homelessness in the US this year. At one point, they only had one pair of shoes between them. 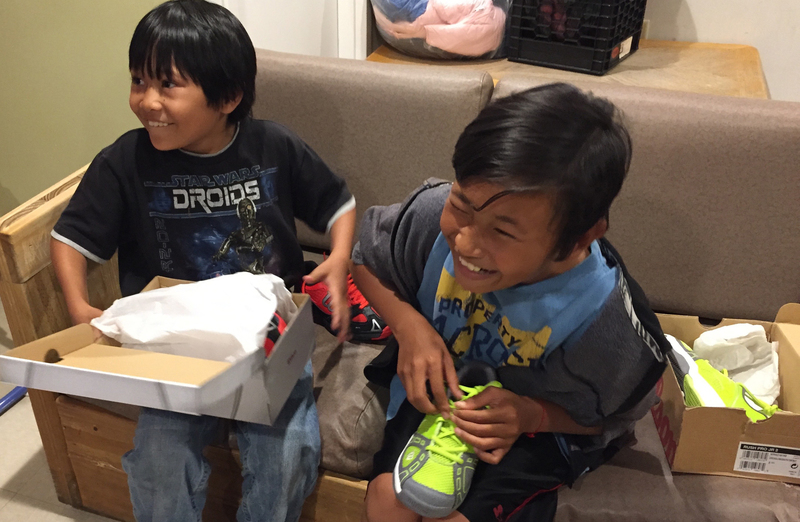 They took turns wearing the shoes, so each day they traded off attending school. Then one day, they met World of Children Honoree Nicholas Lowinger. His Gotta Have Sole Foundation provided each of them with new, properly fitting shoes, just as he has done for thousands of other homeless children in this country. Now, Brian and Jeremy can both go to school every day, and they have a real shot at breaking the cycle of poverty that's trapped their family. Stories like these, as powerful as they are, do not make the news. How can one person's good deed or one child's smile, compete with all of the suffering and misery our news outlets cover every day? The world is filled with chaos, but it is also filled with amazing and heroic people who selflessly give of themselves every day to make sure vulnerable children are cared for and loved. This year alone, our Honorees brought hope, safety, and joy to thousands of young lives and enabled them to live and grow to enjoy another year. I may be just one voice, but if you join me we can cut through some of the darkness and noise this holiday season. Together, let's celebrate these heroes, celebrate the children and celebrate those who support us in these endeavors. From all of us at World of Children to all those around the world who care about this work, we wish you a very happy holiday season. To read more stories about heroes working on behalf of children everywhere, visit the World of Children Award blog. *Some children's names, pictures, or other personally identifiable information have been changed to protect their identities.